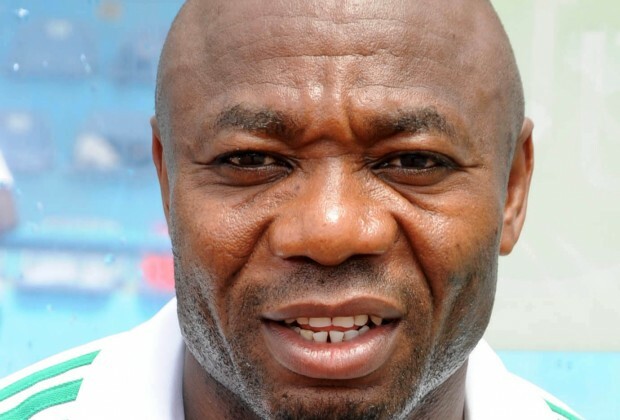 Coach Emmanuel Amuneke has said that the Final Match of the FIFA U-17 World Cup Chile 2015 between Nigeria and Mali is good advertisement for African football. On Sunday, the two West African sides will clash at the Estadio Sausalito in Vina del Mar in what is only the second –ever All-African final, since Nigeria and Ghana clashed in Japan 22 years ago, with the Eaglets winning 2-1. Both Nigeria and Mali have flown the continent’s flag with pride en route to Sunday’s final and Amuneke enthused it would be a great day for African football yet again in Vina del Mar. “African football has developed over the years and playing against Mali in the final of Chile 2015 shows that Africa is strong at this level,” Amuneke noted at the post match conference in Concepción after Golden Eaglets’ 4-2 win over Mexico. The Golden Eaglets had in the run-up enjoyed favourable results at Estadio Sausalito in Vina del Mar where they crushed Chile 5-1 in their second group phase match, annihilated Australia 6-0 in the second round and battered Brazil 3-0 in the quarter final. Yet, Amuneke was not oblivious of the challenges ahead, adding Mali who were crowned champions at the African U-17 Nations Cup in March are a very strong side. Incidentally, both countries did not meet in Niger Republic but the Eaglets can draw huge inspiration from their last encounters at the 2014 WAFU B Tournament in Togo where Amuneke –led Eaglets beat Mali twice with an identical 2-0 score-line. Super Eagles Head Coach, Sunday Oliseh has been placed on two weeks of compulsory rest after taking ill in camp during preparations for Sunday’s second leg African Nations Championship qualifier against Burkina Faso. Oliseh suddenly started feeling dizzy on Thursday in Port Harcourt and had to be excused from camp and allowed to travel to Belgium on the advice of the team medics. Intensive tests were carried out on him at the Mediapark Klinic, Cologne (Germany) where doctors placed him on compulsory rest. 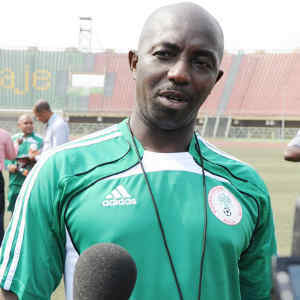 The Super Eagles handler told thenff.com that he is overwhelmed by the messages of support,well wishes and prayers he has been receiving from Nigerians. “I have been so touched and much moved, almost to tears by the prayers and good wishes I have been receiving from Nigerians. I want to thank them so much for the love and support. “I was told I should have rested a lot more than I did after the initial illness I had when we concluded our Belgian tour earlier this month. The doctors have now made the rest a compulsory one. I believe that after the two weeks I would be fully recovered,”he explained. Sunday Oliseh was discovered to have contracted a viral infection in his system and would need to be monitored during the period of rest to ensure complete recovery. Meanwhile, the home -based senior team, Super Eagles B faces Burkina Faso on Sunday in a crucial CHAN qualifier second leg in Ouagadougou with the players and coaches promising to get the recuperating head coach a ‘get well soon’ victory over their hosts. Captain Gbolahan Salami told thenff.com that the team is even more determined to get a win for Nigeria and Coach Sunday Oliseh. “We want to win the game for Nigeria and we believe that securing the CHAN ticket will hasten the complete recovery of our head coach,”Salami said. Coach Oliseh is expected to resume duties November 9, when the Super Eagles camp opens for the 2018 FIFA World Cup Round 2 fixture against Swaziland.